Music always helps to get rid of boredom, especially when you commute daily for long hours. Every day you will see people lost in their smartphones, either listening to music or watching shows or movies, with earphones plugged in. If you are planning to shop for earphones online, explore amazing deals and offers on headphones and earphones on GoPaisa. No matter whether your search is for wired or wireless headphones, all of them are available here. Besides GoPaisa gives you access to wonderful headphone offers and discounts. To shop in a smarter way, visit the AliExpress website. This one-stop online shop gives you the best deals on women and men clothing & accessories, smartphones, gadgets, electronics, jewellery & accessories, home decor, bags, shoes, and what not? Even to shop for headphones at discounted prices, you can trust this online platform. All new customers at AliExpress get a special discount of USD 4. Join AliExpress right away to get your hands on exclusive AliExpress headphone coupons. If you are looking for Bluetooth headphones, shop at AliExpress and spend above USD 35 earn a flat discount of USD 2. Amazon is not new to the world. Whatever you wish to buy, step into this e-commerce platform to get your product at the best price. Even you can shop for earphones on Amazon. Also, to make your shopping budget-friendly, you can utilize Amazon headphones coupon code at checkout page. 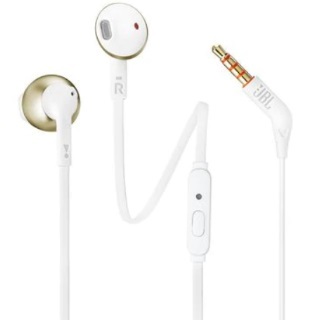 Avail up to 60% discount on in-ear headphones only on Amazon. There is no need to look for Amazon coupon code for wireless headphones as the platform is giving a flat discount of 50% on the purchase of Bluetooth headphones. Brands like Boat, Xiaomi MI, JBL, Samsung and more are offering 10% - 50% discounts on headphones and earphones only on Amazon. Up to 60% discount is available on Sennheiser, Philips, Sony, Soundmagic and Skullcandy earphones on Amazon. No Amazon India headphone promo code is required to avail the discount offer. 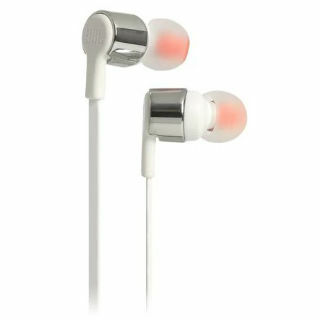 Are you looking for earphones online? 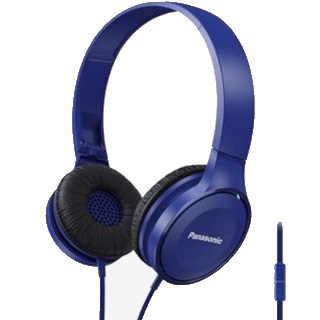 Get the best headphones deals on Flipkart. This e-commerce giant is known to present users with the best offers and discounts on numerous products across categories. For this reason, many Indians prefer Flipkart over other online shopping websites for their purchases. 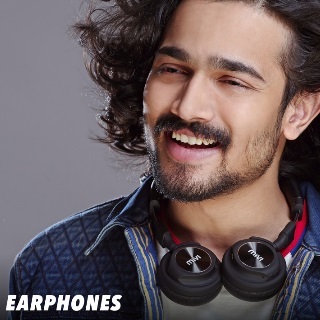 Get up to 60%-75% off on earphones and headphones only on the Flipkart Store. 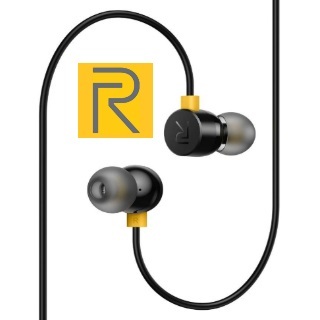 Under Flipkart Smartbuy, you will come across 20%-50% discount on wireless headphones and earphones. 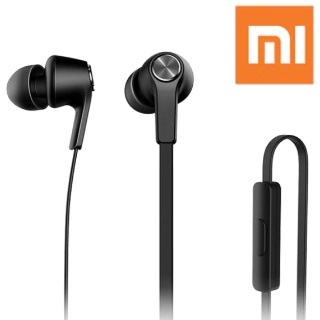 Flipkart is offering a flat discount of 30% on MI wired headset with mic. If you are paying for the first time on the Flipkart website, you will get an instant discount of 10% on Mastercards. Axis Bank Buzz credit cardholders can earn an extra 5% off from their headphones purchases on Flipkart. 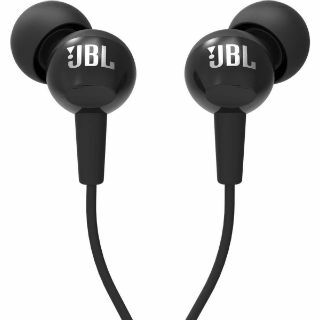 If you are a JBL fan, you can get your hands on 5%-40% discount on JBL headphones on the Flipkart website or app. Flipkart is giving up to 40% off on Sennheiser wired earphones and Bluetooth headphones with mic. GoNoise is popular for smartwatches, smartphone accessories, and fashion accessories. Besides headphones and earphones, you can shop for noise shots, wireless earbuds. Earn a flat 10% off during a headphones sale on GoNoise. On purchasing Noise Barrel wireless headphones via GoNoise, you will get a flat 10% off. To avail the discount, use the promo code “GCLICK10”. GoNoise is giving a flat Rs. 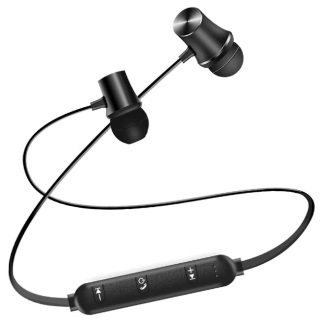 1,500 off on Noise Fizz Sports Wireless Bluetooth In-Ear Earphones. Earn a flat Rs. 2,000 off on Noise Shots Wireless Earbuds on GoNoise. During GoNoise headphones sale, you get wonderful headphones offers like Buy Any 2 Get 1 Free. Headphone Zone is the best website when you want to buy headphones for yourself. Headphone Zone deals only in genuine headphones to present you with the greatest music listening experience. Get your hands on amazing Headphone Zone deals to earn wonderful discounts like 20%-30% off, 40%-50% off and 50%-70% off on headphones and earphones. No Headphone Zone coupons are required to avail the discounts. Hardly you will find someone who is not aware of the JBL brand. Besides Bluetooth speakers, JBL offers wireless earphones, sound gear, ear shots, Bluetooth headphones, and wired headphones & earphones. 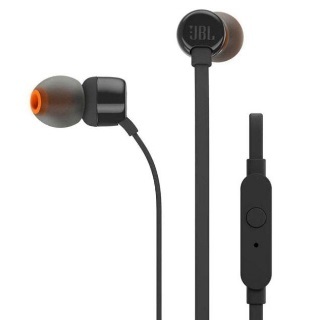 Additionally, you get delightful headphones offers on JBL. Avail up to 70% off on JBL headphones and earphones and make payments through the PhonePe wallet to earn an additional 10% cashback. 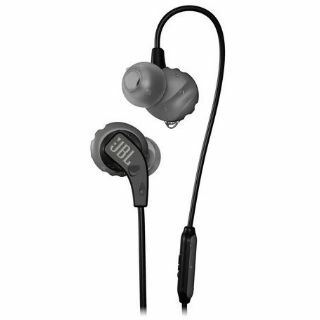 JBL is offering up to 70% discount on In-Ear, Wireless and Noise Cancelling headphones and earphones. Purchase JBL headphones during PayTM Mall Audio Sale and get up to 50% off. To earn an extra discount of 25%, pay using your PayTM wallet. Axis bank cardholders can earn 10% cashback on using credit or debit card for payment. To avail the offer, use the headphones coupon code “OMG27”. 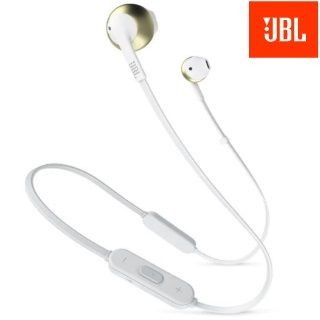 Get up to 40% discount on In-Ear JBL headphones. This offer is for a limited period only. 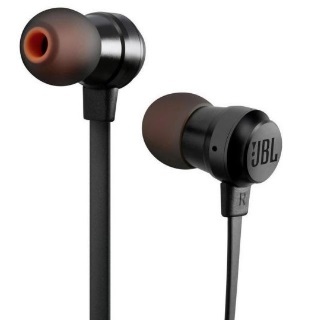 Purchase JBL headphones or earphones on the Amazon website to earn up to 50% discount. 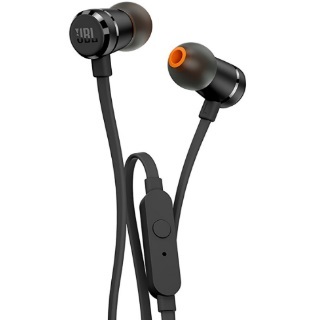 JBL C100Si wired headphones are available at Rs. 649 only. Grab the deal within the offer period. 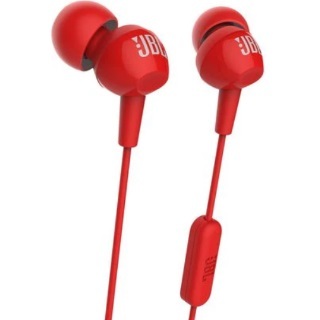 Snapdeal is giving an exciting discount of 50% on JBL headphones and earphones. Purchase JBL earphones and headphones at Flipkart or TATA CLiQ to earn a discount of up to 60% on your shopping. Bring home your favourite JBL wireless headphones at a 30% discount on Croma online store. From fashion to electronics, all products are available on PayTM at discounted prices. This one-stop destination gives you access to amazing deals and discount on varied products including earphones and wired & wireless headphones. Moreover, using exclusive PayTM headphones promo code, you can cut down the prices even further. Purchase Boat In-Ear wired headphones with mic from the PayTM Mall and get a flat discount of 35%. Axis bank card holders can avail an additional 105 cashback on the purchase of Bluetooth headphones and earphones. Use the PayTM headphones promo code “SOUND15” to get 15% cashback on your PayTM shopping. PayTM Mall is offering a flat discount of 27% on audio gadgets which include wireless headphones. No headphones coupons are required to avail the offer. On using the PayTM coupon code “GET500PE500”, users will Rs. 500 as cashback. If you want to experience the best sound quality, directly go for Sony. The reason being the brand never compromises with the quality of their products. Whether you want to purchase Bluetooth headphones, In-ear earphones, or truly wireless, visit the Sony website and use exclusive headphones coupons to save your money. To avail a discount of up to 50% on headphones of the Sony brand, visit the Flipkart website right away. Additionally, Axis bank Buzz cardholders will get an additional 5% off on their purchase. 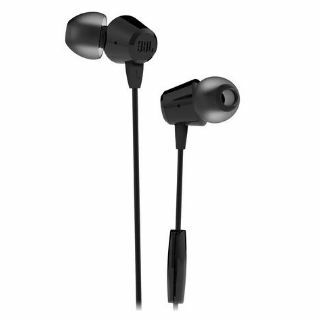 Sony In-Ear Earphones without mic are available at a discount of 10% on Sanpdeal. Pay with your SBI bank debit card to earn an instant 10% discount on your shopping. Snapdeal is offering up to 50% of on Sony On-Ear headphones without a mic. On making payment using the Federal bank debit card, you will get an additional 10% instant discount. Every product at TATA CLiQ is hand-picked and 100% authentic. Therefore, whenever you need to shop for Bluetooth headphones or earphones online, visit only TATA CLiQ. Along with genuine products, this website gives you lucrative discount offers. Avail a minimum discount of 60% on Motorola Pulse Escape Over the Ear Bluetooth headphones on TATA CLiQ. Use the coupon code “AXISWED500” to earn a flat discount of Rs. 500 on payments via Axis bank credit or debit card. Make payment via HDFC debit card to purchase your favourite headphones on TATA CLiQ and get cashback points of 5%, maximum up to Rs. 750. On the purchase of Sony Bluetooth headset with mic from the TATA CLiQ platform, you can avail a flat 18% discount. If Boat is your favourite headphones brand, visit the TATA CLiQ website to earn up to 56% discount on Boat earphones with mic.